Thousands of men and women are diagnosed each year with cancer of the prostate, bladder or kidney, as well as testicular cancer. New breakthroughs in cancer care, experimental treatment options, and ongoing research into the causes and potential cures of urologic malignancies spell new hope for patients from all walks of life. UCLA's Institute of Urologic Oncology, launched in 2009, brings together a multidisciplinary team of scientists and physicians to develop leading-edge therapies for the treatment of prostate, kidney, bladder and testicular cancers. Disciplines include urologic oncology, medical oncology, diagnostic and interventional radiology, pathology, nursing, basic sciences and clinical trials. 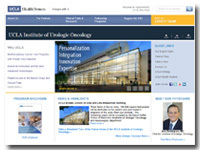 The Institute of Urologic Oncology at UCLA challenges the traditional model of academic departments operating independently of each other, bringing a multidisciplinary team of scientists and physicians together as part of one cohesive organization. Their goal is to expedite the development of new therapies for patients with genitourinary cancers. "This is a one-stop shop for patients. All the experts will be involved in their care, all working together," said the institute's director, Dr. Arie Belldegrun, a professor of urology and a researcher at UCLA's Jonsson Comprehensive Cancer Center. 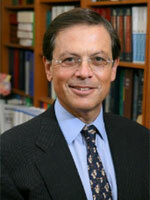 The UCLA Kidney Cancer Program, affiliated with the Institute of Urologic Oncology and the Jonsson Comprehensive Cancer Center, is a comprehensive program treating over 2,000 patients per year, offering both standard and cutting-edge therapies and dedicated to the highest standard of patient care. The program includes a multidisciplinary team of specialists in medical oncology, urology, cardiology, nephrology, pathology and endocrinology, allowing for comprehensive care in one single visit. Although kidney cancer remains a challenging disease, exciting new breakthroughs in diagnosing and treating kidney cancer are being reported regularly. At UCLA, we believe that new advances will translate into curative therapy for more and more patients. 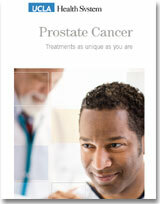 UCLA’s Prostate Cancer Program, affiliated with the Institute of Urologic Oncology and the Jonsson Comprehensive Cancer Center, offers the latest and most advanced care for both early and late stage prostate cancer. Our faculty are fellowship trained in urologic oncology and have been consistently ranked among the top prostate cancer practitioners in the United States. UCLA urologists have been pioneers in developing new innovations and technologies leading to safer and more effective treatments for patients. 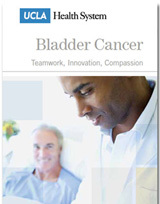 UCLA's Bladder Cancer Program, is a multidisciplinary comprehensive program offering the latest treatments and compassionate care, and is affiliated with the Institute of Urologic Oncology and the Jonsson Comprehensive Cancer Center. UCLA's Testicular Cancer Program is multidisciplinary, comprehensive, and focuses on the whole patient. We offer personalized care that includes the latest testicular cancer treatments in surgery, chemotherapy and radiation therapy. The Program is part of the Institute of Urologic Oncology and is affiliated with UCLA's Jonsson Comprehensive Cancer Center.